Nikon is pushing the limits in terms of zooming for a relatively small camera. 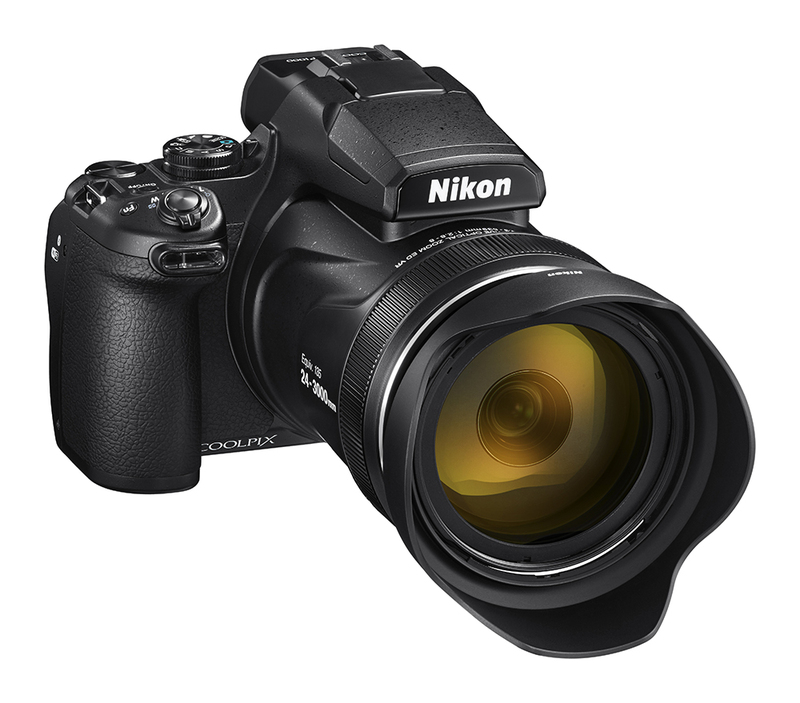 The new Nikon Coolpix P1000 zooms from 24 mm til 3,000 mm. The predecessor Coolpix 900 launched three years ago already features powerful zooming capabilities, so it’s not a surprise that Nikon Coolpix P1000 would include a superzoom. In addition, one can extend the zoom by switching to ”Dynamic Fine Zoom” mode, which extends the zoom til 6,000 mm with only a minor impact to the image quality. How does Nikon accomplish this large zoom? Nikon had to do some trade-offs in order to reach a maximum zoom of 3,000 mm First, it employs a 125x optical zoom. The drawback is that the camera becomes fairly heavy and long. It weighs 1.4 kg and measures 36 cm with the zoom expanded. Second, the sensor is fairly small at 1/2.3-inch. Image source: Nikon. Nikon Coolpix 1000 measures 36 with full zoom expanded. P1000 sports an ISO range of 100 til 6,400 ISO and a resolution of 16 MP. The zooming capabilities have been integrated into the camera functions, with special modes for bird- and moon photography. The camera shoots 7 photos per second during 7 seconds. As expected, it records in 4K at 30 frames per second (fps) and in 1080p resolution at 60 fps. A fully charged battery lasts about 250 photos. Nikon Coolpix 1000 is already available for pre-orders in the US, with first deliveries planned for the 6th of September. It costs US$999.95, which converts to about NZ$1,449 exclusive of GST. Please find more information in Nikon’s press release.